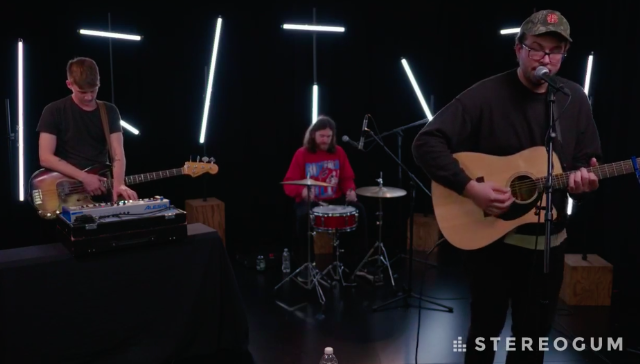 New York’s own Wild Pink stopped by Stereogum HQ today to play a couple of songs off of their excellent new album Yolk In The Fur, which was released by Tiny Engines over the summer. The trio broke out the first three songs on the LP (“Burger Hill,” “Lake Erie,” and the title track) all of which were well-suited to a stripped-down setup. We ran a profile on Wild Pink back in May; read it here and check out the band’s Stereogum Session below.